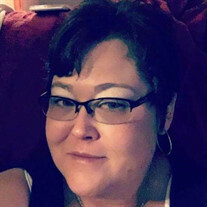 Heather Renee Knight, age 40, passed away Sunday, November 11, 2018, at UT Medical Center in Knoxville. She was a member of Lea Springs Baptist Church. She was preceded in death by her mother Rebecca Nicely. She is survived by her father Robert J. Nicely; husband Richard Knight; daughter MaKayla Walker, and her boyfriend, Blake Jones; son RJ Knight; Mamaw Frankie, and other beloved family members and friends. The family will receive friends from 5:00 to 7:00 pm on Sunday, November 18, 2018, at Smith-Reagan Funeral Home in Rutledge, with funeral services following. Rev. Lee Wayne Grubb will officiate the service. Graveside services will be held at 11:00 am on Monday, November 19, 2018, at Lea Springs Baptist Church Cemetery.